Israeli PM, Benjamin Netanyahu, tried to thwart opposition voices among Jewish intellectuals ahead of the general election in March by banning three judges from the prestigious Israel Prize’s panel, Ariel Hirschfeld, one of the disqualified, told RT. The Israel Prize, the Jewish state’s equivalent of the Noble Prize, was established in 1953 to award excellence in science and culture as well as honor individuals for their lifetime contribution to the nation. But ahead of this year's award to be handed out in April, Netanyahu vetoed the appointment of three Israel Prize judges – Ariel Hirschfeld and Avner Holtzman for the Literature Prize panel and filmmaker Chaim Sharir – accusing them of "extremist and anti-Zionist" views. "The situation in which a small and closed group, which holds extremist views, has control of the selection of the winners of the Israel Prize, must change," the prime minister wrote on his Facebook page. The prime minister is also interim education minister and so has oversight over jury selection. Netanyahu said: "Over the years, more and more radical figures, including anti-Zionists – for example, those who support refusal to serve in the IDF – have been appointed to the panel and too few authentic representatives of other parts of the nation." “I don't think the prime minister should be involved in such matters” as dismissing an award panel, Ariel Hirschfeld, a Hebrew literature professor at the Hebrew University in Jerusalem, told RT. 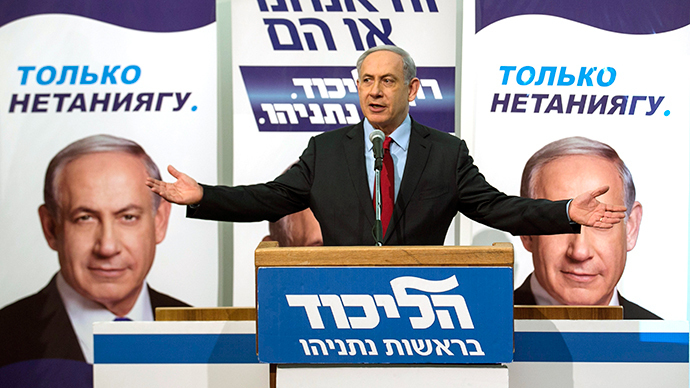 Hirschfeld believes that the ban on the judges “has a lot to do with [the] election” on March 17, in which Netanyahu will try to retain his premiership. According to Hirschfeld, he and his colleagues had already started working when they received the news they had been fired from their positions on the panel by the prime minister’s office. The trio of academics was told that the decision had been taken only after the scandal began making headlines newspapers, Hirschfield said. Netanyahu wrote on Facebook that “he had to remove us because one of us, he did not say who, some years ago, [signed a petition] for the soldiers [who] refused to serve in the West Bank,” the professor said. The banning of the Israel Prize judges by Netanyahu was “about conquering one of the last outposts – and this is the intellectual lead which unfortunately are mainly lefties,” he said. The ban on the three judges led to the remaining members resigning from the literature panel of the Israel Prize panel in solidarity. Several famous authors, including Ruth Dayan, Haim Be’er, Sami Michael and David Grossman, also withdrew their candidacies from the award. The backlash of criticism to Netanyahu's decision to remove the panel of judges forced his office to reverse a ban after an intervention by Attorney General Yehuda Weinstein. This saw Hirschfeld and Holtzman returning to the panel, but three other judges who resigned announced on Monday that they don’t want anything to do with the Israel Prize anymore.